Beach huts are a common sight in many seaside resorts. They evolved from the wheeled bathing machines used by the Victorians to preserve their modesty. Often brightly coloured they take on various forms, but more often than not, they are quite simply the humble timber garden shed, sited on the seafront, in rows and rows, alongside their almost identical ‘brothers and sisters’. In some resorts they are owned and rented out by the local council; whereas others are privately owned and can command prices which are out of all proportion to their size, type of construction and their amenity. Location, location, location is the key phrase here. 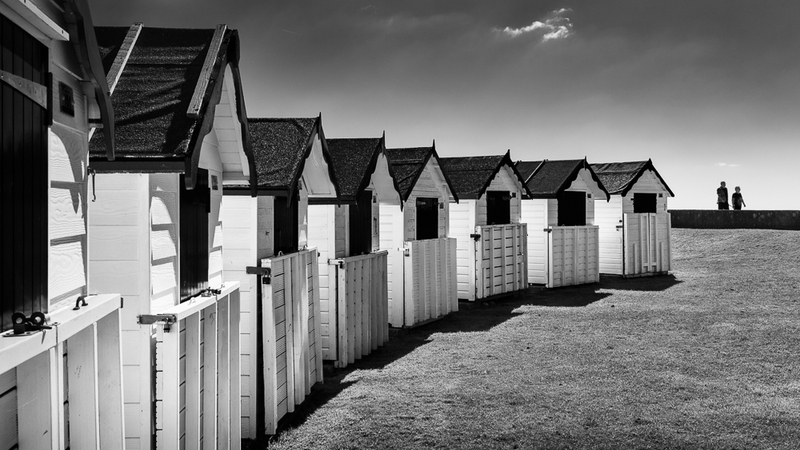 The huts in the above shot are on a greensward adjoining the seafront in Felpham Village; a pretty area just to the east of Bognor Regis on the south coast. 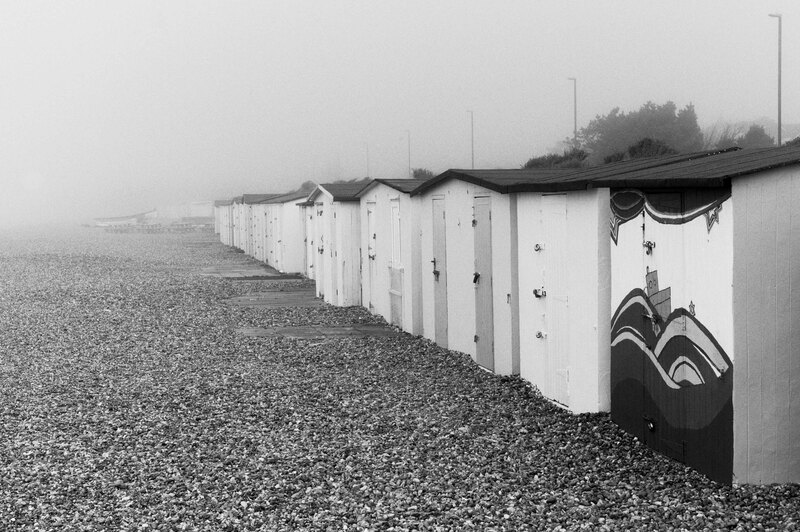 Taken on a very different day, the picture below shows the beach huts on the other side of Bognor Regis at Aldwick. 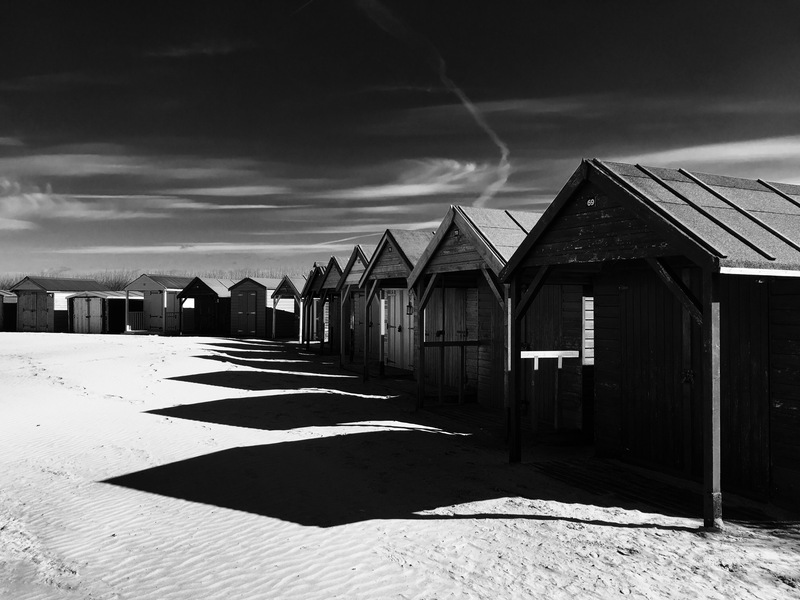 At West Wittering, again in West Sussex, these huts enjoy a wonderful location. 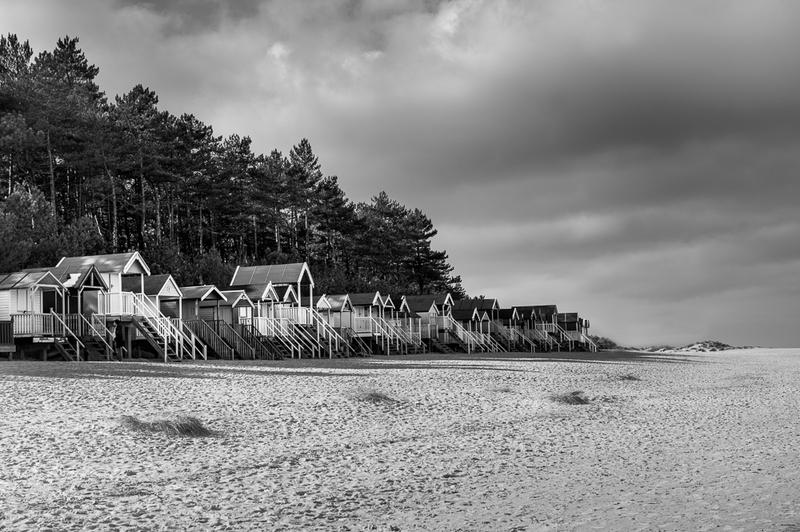 ……and perhaps my favourite beach huts are at Wells Next The Sea, on the North Norfolk coast. Thanks Haylee. You are right. They do make people smile…..particularly the ones with some imaginative decor! The addition of those two people in the first shot is such a bonus, Alan. I agree. I didn’t wait for them to enter the scene, so I guess instinct told me when to press the shutter. Outstanding b&w compositions, especially the first! Thanks Peter. Wells is a great location. Truly great captures, Alan. They look smahing in b&w.